Givaudan, the world’s leading flavour and fragrance company, has officially opened a new commercial and development centre in Jakarta. Designed to deliver a superior level of creative flavour, taste and fragrance solutions, the CHF 2.9 million investment demonstrates the Company’s ongoing commitment to the Asia Pacific region. The new 2,600 square metres commercial and development centre will enable Givaudan to serve customers across a wide range of food, beverage and consumer good segments including, sweet goods, savoury, snacks, beverages, fine fragrances, personal care, home care and fabric care. For the first time in Indonesia, the Company will offer in one location a full range of flavour and fragrance creation and application development capabilities. 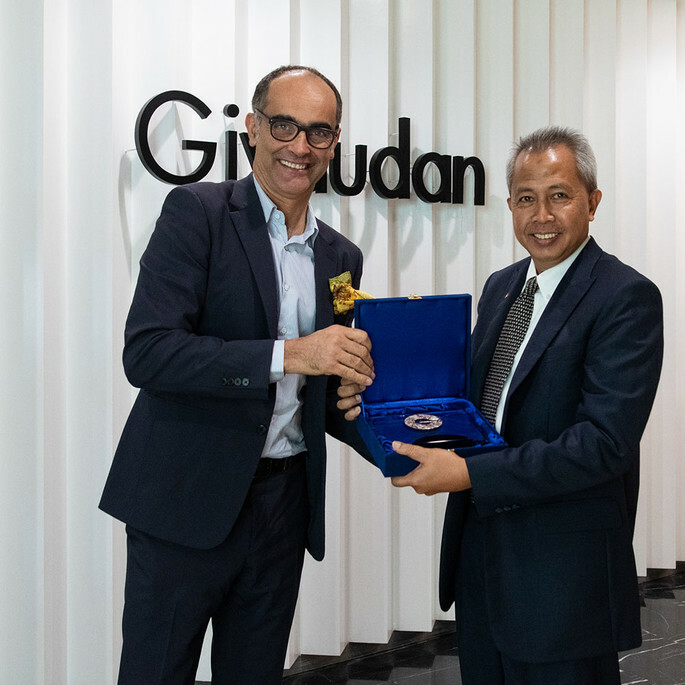 The opening ceremony was hosted by Givaudan’s Country Manager for Indonesia, Fernando Balmori and attended by Givaudan’s Chief Executive Officer Gilles Andrier, alongside dignitaries including the Swiss Ambassador Kurt Kunz, and Luthfi Mardiansyah, Chairman of the Swiss Chamber of Commerce. Givaudan has been present in Indonesia since 1993 and has significantly invested in people and facilities in the country. In addition to the new centre in Jakarta, the Company manufactures liquids, powder blends, spray dry flavours and fragrance liquid compounds in Cimanggis (province of West Java). The Company employs a total of approximately 300 people in Indonesia. During the ceremony, Givaudan pledged financial support to the tsunami relief efforts as part of its ongoing commitment to the local community.